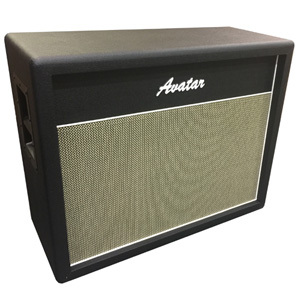 This is the Avatar Tweed 212 guitar speaker cabinet. 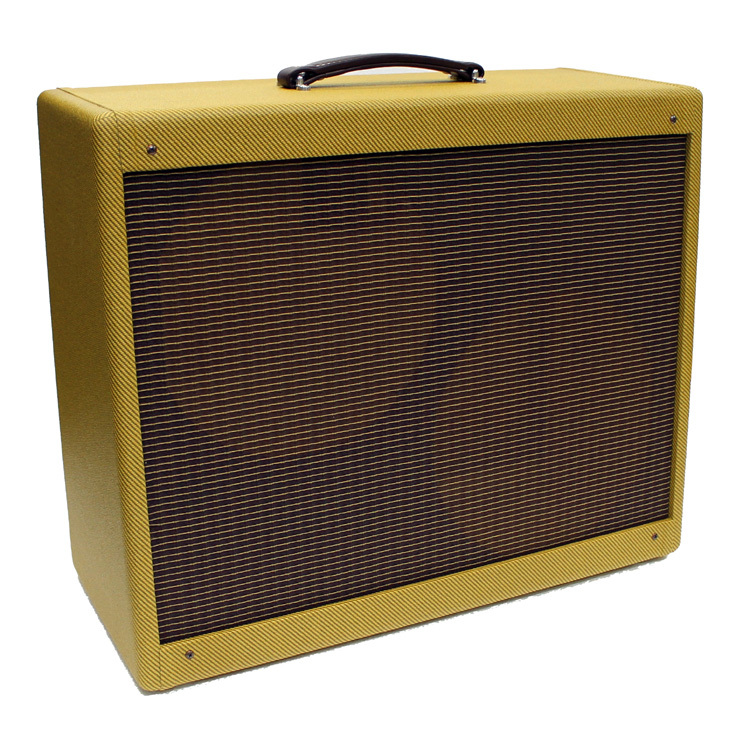 The 212 is a Narrow Panel Tweed Twin Low Power Style 212 Extension. Tweed cabinets are ¾ pine cabinets with Finger joint construction. 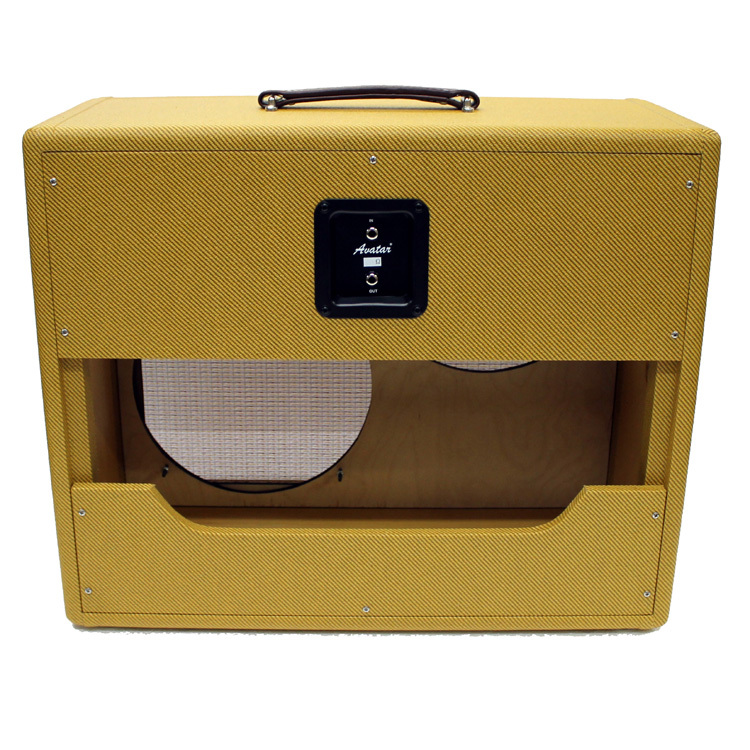 We use 3/8 Baltic Birch plywood for the baffles w/ ¼ trim strips, and 1/2 for the back panels. 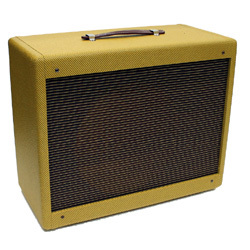 This tweed cabs dimensions are 24.75″W x 20.375″H x 10.5″D x 9″ on the top. Weight is approximately 55 lbs depending on speakers. You get a One year limited warranty. Real linen tweed with two coats of Lacquer. 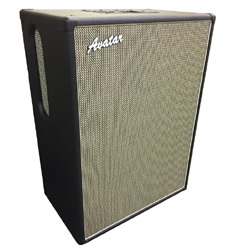 Choose either the Avatar Multi Jack input with option for 4 ohm mono, 16 ohm mono and 8 ohm stereo when using two 8 ohm speakers OR the standard fixed dual jack mono plate with one in and one out for daisy chaining out to another cab feature. 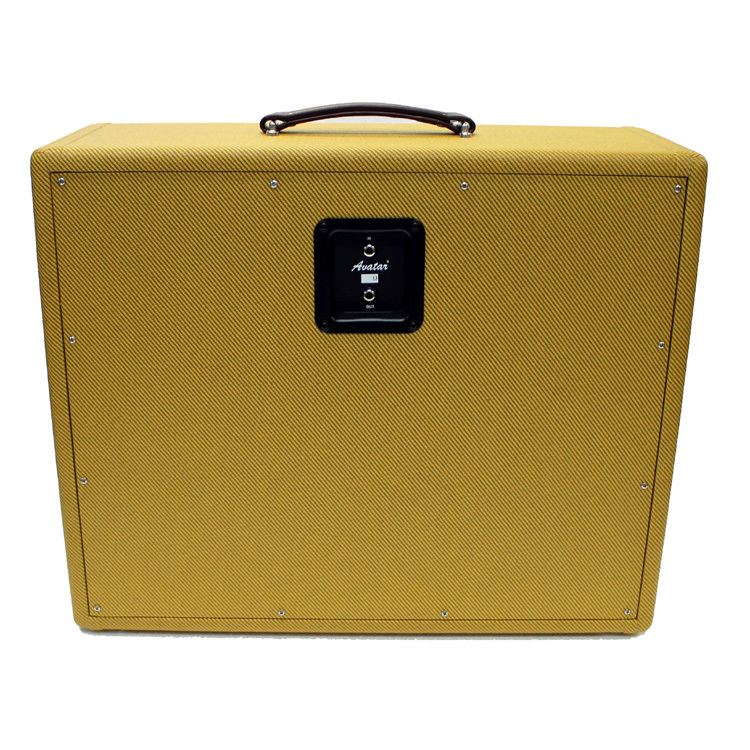 Standard 8 ohm mono cab with two 16 ohm speakers, 4 ohm mono cab with two 8 ohm speakers or 16 ohm mono cab with two 8 ohm speakers.